The European Commission’s take on competition is “wild” and a “very outdated interpretation of the law,” French Prime Minister Edouard Philippe told Parliament following Wednesday’s decision, adding that it was a “bad decision” made for the “wrong reasons”. Image copyright Getty Images Image caption France will spend millions of euros preparing ports and airports for a no-deal Brexit. 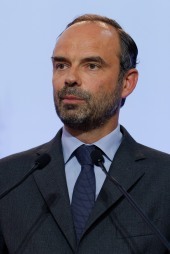 French Prime Minister Edouard Philippe has said a no-deal Brexit looks "less and less unlikely" and has launched a contingency plan to prepare for it.